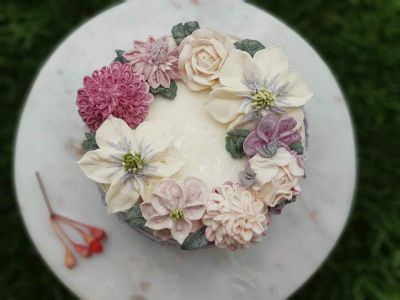 Flower cakes are perfect for any occasion from kids birthday parties and christenings, to anniversaries and bridal showers, to engagement parties and weddings. They can be a very sentimental gift for that special someone. Each one of our personalised cakes have hand crafted details that will make you pause, and think, “Are those flowers real?”. 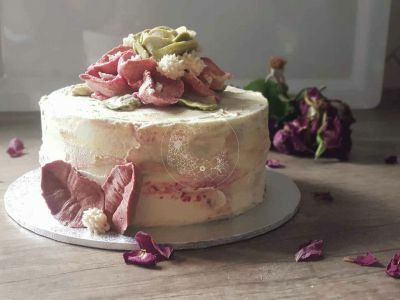 The flowers are piped from fresh made silky smooth buttercream, that has been coloured using only natural food colours from fruits and vegetables. All the decorations are edible, there is nothing on our cakes that is too sweet or should not be eaten, they taste as good as they look. 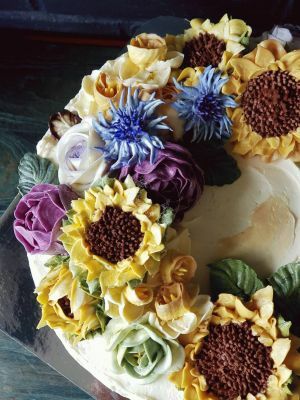 Here are few steps to help you to choose the perfect flower cake. How many servings do I need? Standard sizes are available from 6 to 12 inches. There are many different options to suit the number of servings required. Please see example below of a simple slab style, compared to a double tier cake, which both serve the same amount of guests. Please see Sizes & Serving guide for more information. What kind of floral arrangement do I like ? There are 4 different arrangement styles. Choosing an arrangement is a good start before we go into more detail. What kind of flowers/colour/theme do I feel like? We personalise each and every cake and aim to come up with creations that satisfy your expectations. 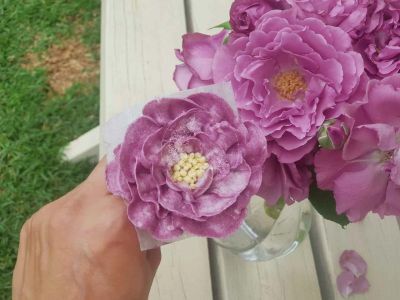 If you have a list of your favourite flowers, photos, colours or even a rough drawing, this will give us a good idea where to start with your creation. We have a range of flavours including (strawberry, chocolate, vanilla) and many other variations available. 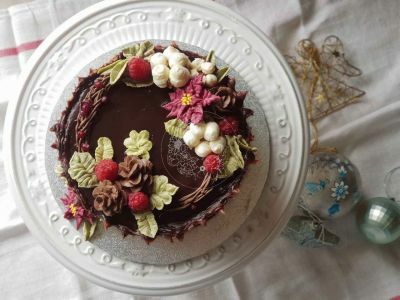 We specialise in creating cakes that taste really good even if you have allergies or special dietary requirements. Please see Flavours to see our cake & cream flavours. More information regarding allergies & dietary requirements at Allergies & Dietary page. For pricing, please see our Price guideline .